Gambling on the boundless appetite and bottomless checkbooks of today’s contemporary art collectors, not to mention their quirky taste for macabre images — an electric chair, a canvas filled with dead flies, and an installation incorporating handcuffs and an illustrated guide to pistols — Christie’s staged a highly publicized experiment on Monday night that was a runaway success. Packing the Rockefeller Center salesroom was a who’s who of contemporary art with a little Hollywood glamour thrown in. There was Eli Broad, the Los Angeles financier; Laurence Graff, the London jeweler; Peter Brant, the newsprint magnate; Donald and Mera Rubbell, the Miami collectors; and Tobey Maguire, the actor. Not even Daniel S. Loeb, the hedge fund activist who is Sotheby’s newest board member, missed the action. Called “If I Live I’ll See You Tuesday,” the sale was organized by Loic Gouzer, a 33-year-old expert in contemporary art, and included a mixture of hot, younger artists alongside established superstars like Andy Warhol, Jean-Michel Basquiat, Richard Prince and Jeff Koons. 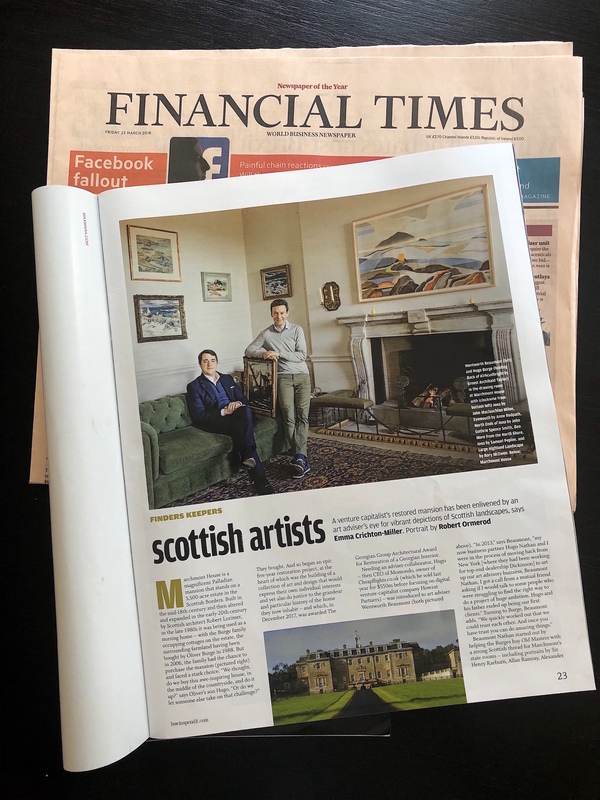 To lure the best property, 13 of 35 works were guaranteed, meaning either Christie’s or a third party had promised the sellers an undisclosed sum in advance, whatever the auction’s outcome. For weeks the art world grumbled about the sale’s high estimates. The New York artist Wade Guyton, who produces his paintings on inkjet printers, was so disgusted by the enormous price expected for one of his 2005 flame paintings, “Untitled (Fire, Red/Black U),” that he went on the offensive over the weekend, printing multiple copies of the image from his original disk and posting them on the photo-sharing site Instagram. The painting, estimated at $2.5 million to $3.5 million, sold to an unidentified telephone bidder for $3.525 million. It was just one soaring price in an evening of high prices. Of the 35 works for sale, only one failed to find a buyer. The sale totaled $134.6 million — roughly $10 million over the high estimate of $124 million. “I guess I’ll see you Tuesday,” Mr. Gouzer said, deadpan, after the sale. 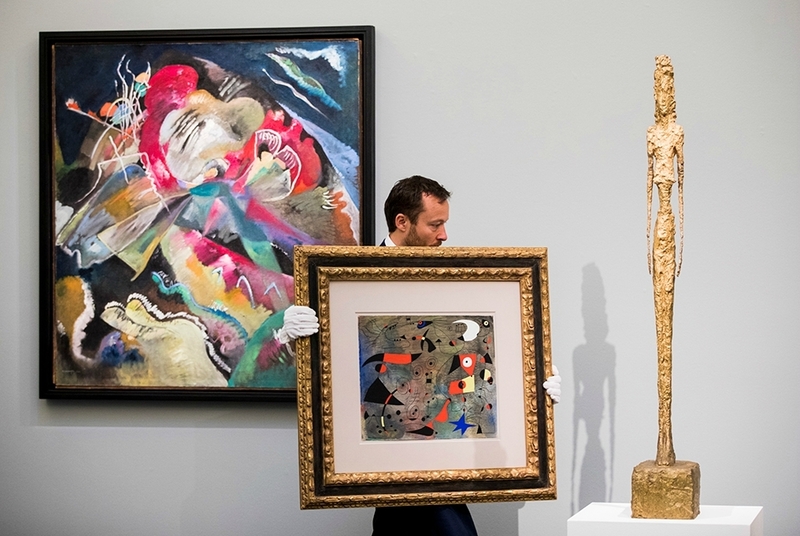 “It was no secret the estimates were aggressive, but we had buyers from 26 countries and 350 collectors registered to bid.” As was true during the Impressionist and modern art auctions last week, there was heavy buying from Asia, including mainland China. Monday night’s auction was a test of sorts for Mr. Prince, whose prices have been more down than up in recent years. There were examples of his work from all styles and dates. “If I Die” — a salmon pink canvas filled only with the joke “Jewish man talking to his friend … If I live I’ll see you Tuesday. If I don’t I’ll see you Wednesday,” from which the title of the auction was taken — had been estimated to sell for $3.5 million to $4.5 million. A telephone bidder snapped it up for $4.6 million. Dealers said it was being sold by the Helly Nahmad Gallery. “Nurse of Greenmeadow,” one of Mr. Prince’s nurse paintings based on a pulp romance novel, sold to another telephone bidder for $8.5 million, above its low $7 million estimate. François Pinault, Christie’s owner and a celebrated collector, was said by dealers familiar with his collection to be the seller of Koons’s “Aqualung,” a bronze cast of the scuba device, from 1985. Estimated to bring $9 million to $12 million, the Nahmad Gallery bought it for $11.6 million. The Nahmads tried to buy another work by Mr. Koons, a 1985 sculpture of two orange basketballs floating in a tank, but they lost to a telephone bidder who paid $6.9 million. 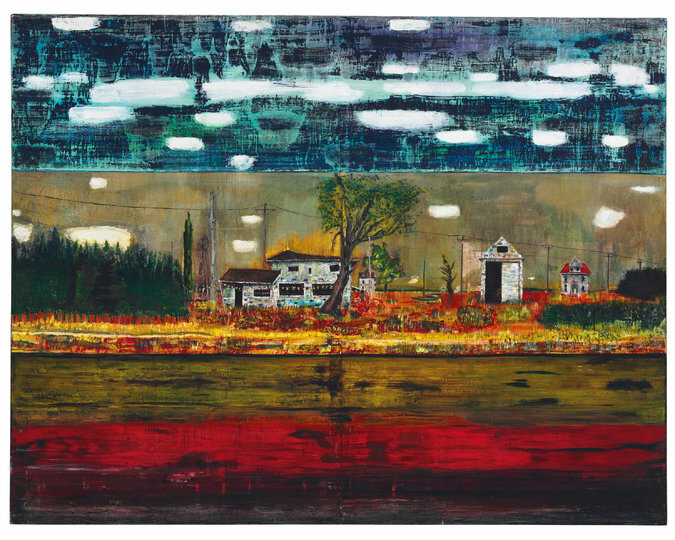 Peter Doig’s “Road House,” a 1991 landscape estimated to sell for $9.5 million to $11.5 million, brought $11.9 million. It was bought by identical female twins who declined to identify themselves but said they were buying it for family in Asia. The painting was said to have been sold by Noam Gottesman, the hedge fund manager. The evening’s top seller was a paunchy self-portrait by Martin Kippenberger, who restaged a photograph of the 81-year-old Picasso in his underwear taken by David Douglas Duncan. Xin Li, the director of Asian business for Christie’s, accepted a telephone bid of $18.6 million, well above its $12 million high estimate. Younger artists favored by speculators fared well, too. A painting of a candle by Dan Colen from 2006, estimated at $2 million to $3 million, was bought by Meredith Darrow, an art adviser, for $3 million. “Blonde,” a messy abstract canvas from 2001 by Joe Bradley, estimated to bring $500,000 to $700,000, sold to Hugh Gibson, another London dealer, for $965,000. The action continues at Christie’s again on Tuesday night, with its main sale of postwar and contemporary art.